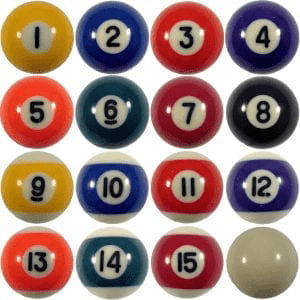 This 1-1/2″ Mini Pool Ball set is perfect for smaller pool tables typically designed for children. This is the size that is generally included with the purchase. 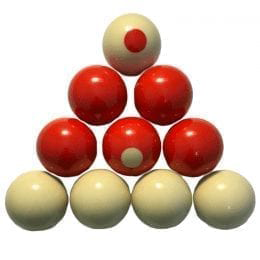 The mini balls are made out of poly-resin, the same material that the balls in the Classic Ball Set are made of. These balls will provide the same playability and are proportionately weighted equally to the standard sets. 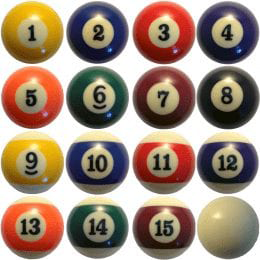 This set includes a cue ball and the numbered balls 1-15. We also stock the plastic triangle for this size ball! Do you already have a set that is just missing a few of the balls? 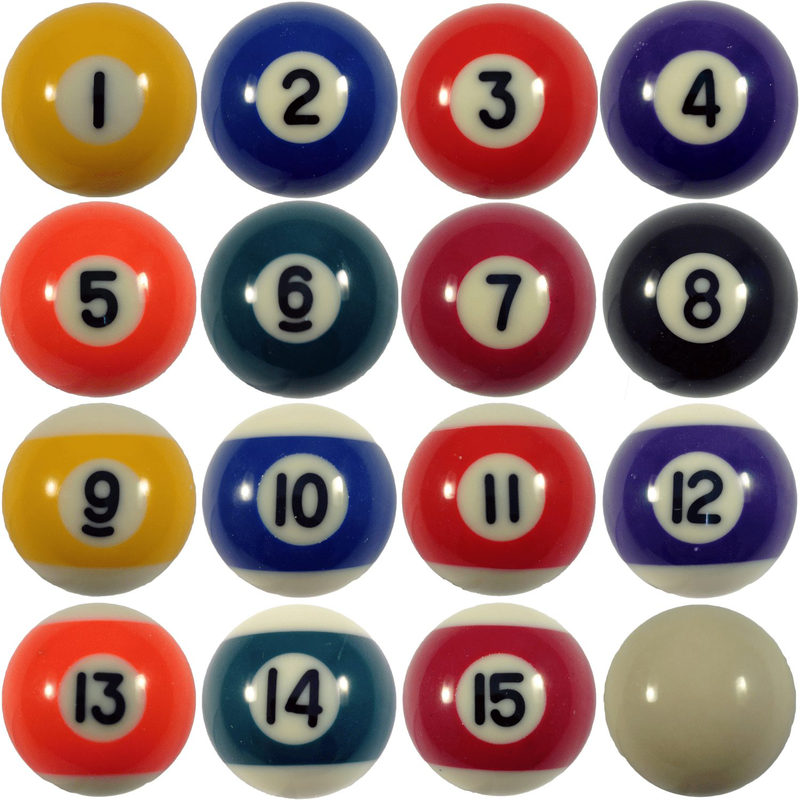 Check out our individual replacement balls.